The first electric train ran in India with the inauguration of services between Bombay VT and Kurla Harbour on 3rd Feb 1925 on ex-GIP Railway system. The section was electrified on 1500 Volt DC. Electric traction was subsequently extended on Central Railway upto Igatpuri on Northeast line and Pune on Southeast line where heavy gradients on the Western Ghats compelled introduction of electric traction. 1500 Volt DC traction was introduced on the Suburban section of Western Railway between Colaba and Borivili on 05.01.1928 and between Madras Beach and Tambaram of Southern Railway on 15.11.1931.Thus, before dawn of Independence, India had 388 KM of DC electrification. In the post Independence era, the work of electrification of Howrah - Burdwan section of Eastern Railway taken up on 3000 Volt DC during the Period of 1st Five year Plan was completed in 1958. As a result of the extensive research and trials in Europe, particularly in French Railways (SNCF), 25 kV AC system of traction emerged as an economical system of Electrification. 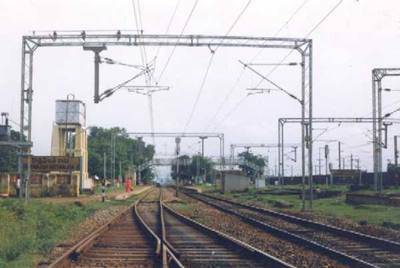 Indian Railways decided in 1957 to adopt 25 kV AC system of electrification as a standard with SNCF as their consultant in the initial stages. The first section to be electrified on 25 kV AC system was Raj Kharswan - Dongoposi of South Eastern Railway in the year 1960. with a view to provide continuity of traction system. 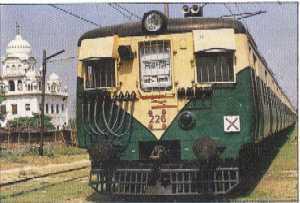 Howrah - Burdwan section of Eastern Railway and Madras Beach - Tambaram section of Southern Railway were converted to 25 kV AC system by 1968. 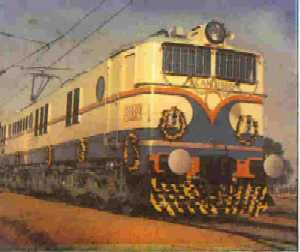 Production of Electric locomotives was simultaneously taken up indigenously at Chittaranjan Locomotive Works (CLW) in 1960 and the first 1500 V DC electric locomotive for Bombay Area Lokmanya was flagged off on 14.10.1961 by Pt. Jawahar Lal Nehru, the first Prime Minister of India. The manufacture of Electric Multiple Units (EMUs) required for Calcutta suburban services was taken up indigenously at Integral Coach Factory (ICF), Perambur and the first EMU rolled out during September 1962. It was matter of pride that as a result of allround dedicated efforts, it was now possible for Indian Railways to build a near total indigenous capability for electrification both for fixed installation and rolling stock. In the wake of the industrial development, in the Eastern region, with the setting up of steel plants necessitating large scale movement of Iron and Coal, substantial growth in freight traffic was observed and this could not be managed by steam traction. Electrification and diesalisation had to be introduced in early sixties to cope with the traffic. Indian Railways completed electrification of 216 RKM (route kilometer) on 25 kV AC traction during 2nd Five Year Plan. During the 3rd Plan, alongwith considerable indigenisation, electrification was extended over another 1678 RKM. The pace of electrification, however, slowed down until the oil crisis of seventies. The second oil crisis in particular brought to the fore the need for evolving a long term policy for electrification to reduce the dependence of Railways on petroleum based energy. Under the directions of the PMO, in the context of shift from petroleum based energy in transport sector, the Secretaries Committee on energy headed by Cabinet Secretary decided in July 1980 that the Railways should speed up track electrification. Accordingly, the pace of electrification was considerably speeded up and Indian Railways achieved a record progress of 2812 RKM during the seventh Plan, 2708 RKM during Eighth Plan, 2484 RKM during Ninth Plan, 1810 RKM during Tenth Plan and 4556 RKM in Eleventh Plan. In the Twelth Plan (2012-17) Indian Railway has achieved 6244 RKM of electrification. A lot of emphasis is given to Railway Electrification in recent years with a view to reduce the Nation’s dependence on imported petroleum based energy and to enhance the country’s energy security, with a vision of providing eco-friendly, faster and energy efficient mode of transportation. During the last five years, total 217 electrification projects consisting of 31468 RKM have been sanctioned by Government of India and keeping in mind the huge cost savings and considerable reduction in carbon foot print of the nation, Indian Railway has identified 100% electrification of all BG routes as a mission area. Railway has achieved record electrification of 4087 RKM in 2017-18 which is the best ever figure of electrification in history of Indian Railway. In September,2018 the Union Cabinet has approved proposal for complete electrification of BG network of Indian Railways by 2021-22.